Famed blogger Andrew Sullivan has changed the media landscape as we know it more than once in his career. He appears to be on the brink of doing it again. 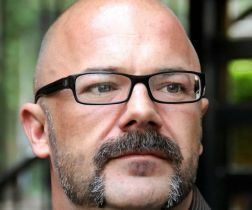 Famed blogger Andrew Sullivan has decided to leave The Daily Beast and go it alone, starting his own blog and charging subscriptions. What does this have to do with the future of Cooperative Extension? Everything. Think for a moment about the implications of this in terms of traditional media. As Mathew Ingram observed recently, if one of the nation’s preeminent bloggers can leave an online publication such as the Daily Beast and strike out on his own, who’s to say that other premiere bloggers and columnists —the New York Times’ Nate Silver and Thomas Friedman, for example — won’t soon follow? Within only days after announcing his split, Sullivan raised more $300,000 dollars for his new site. More recently, he’s drawn closer to the $500,000 million mark. There is every reason to believe that Sullivan, distinguished by his long history of media trailblazing, is once again primed to change the media landscape. What we’re talking about here is creative destructionism on crack. The arrival of new media a generation ago thoroughly democratized media usage partly by drastically lowering entry costs. New media have empowered gifted writers such as Sullivan — good writers who also aren’t afraid to think out of the box and to challenge conventional thinking — to strike out on their own. Small wonder why I and others get so frustrated with the people in our ranks who view new media adoption as just another skill set that must be added to one’s professional repertoire simply to pass muster at the next performance appraisal review. They don’t understand how these new media are reordering everything in their wake, not only communications and business but every facet of our lives. Within higher education, we’re already getting a taste what’s in store for us with the steady growth of Massive Online Open Courses. That raises a rather fascinating but troubling question. To paraphrase, Ingram, how much longer will it be before the majority of aspiring students view conventional higher education as a hindrance more than a benefit? The skeptical colleagues in our ranks must understand that Cooperative Extension is no more immune to the effects of new media than any other facet of education. I’ll leave my readers with another question: At what point will traditional Cooperative Extension programming and delivery methods be viewed more as hindrances than benefits? To put it another way, how much longer before a handful of aspiring Extension educators strike out on their own and develop an outreach version of MOOCs? The next time some of our Extension colleagues bang on about how all this talk of new media is wasting their time, they need to be gently — or, perhaps, not so gently — reminded of this new reality.